was a devoutly religious Puritan elder who led a large migration of Puritans from England to America in 1629 and became the first governor of Massachusetts Bay Colony one year later. He was probably the most powerful figure in New England in the first half of the seventeenth century. Seeking refuge and a new beginning for his fellow Puritans, Winthrop joined the Massachusetts Bay Company after it formed in 1629 in England. 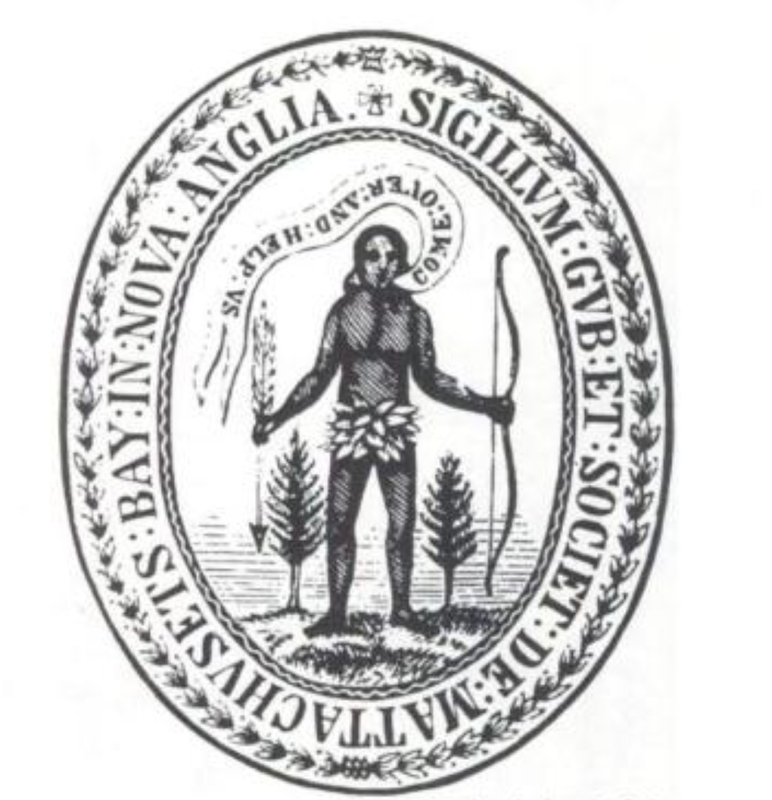 When the company received a royal charter to begin a colony in New England, Winthrop pledged to sell his estate and take his family to Massachusetts if the company government and charter were also transferred to America. The other company members agreed to these terms and elected himgovernor on 20 October 1629. Winthrop arrived in Salem in 1630 and founded the settlement on the Shawmut peninsula that became Boston. Besides serving as governor 12 times, he successfully opposed dissenter Anne Hutchinson and her followers and allowed the exiled Roger Williams to remain in North America. After several years of protest and negotiation, he also reluctantly allowed the settlers of Massachusetts to participate in the colonial government and to create a representative body out of the General Court of Massachusetts. 1630 – John Winthrop Establishes Massachusetts – The first seven ships of the Massachusetts Bay Company sail from England. Among this group was Governor John Winthrop, the leader of the enterprise. Winthrop was a prominent lawyer from East Anglia who wanted the colony to become a refuge for the Puritans, who (along with other dissenters) are increasingly persecuted under the reign of King Charles I. He brought the colonial charter with him. 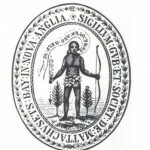 The Massachusetts Bay Company became a provincial government, and Massachusetts was founded. 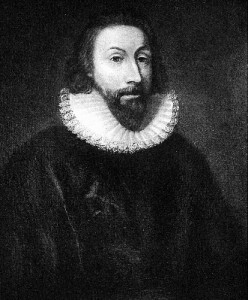 John Winthrop, who is best known for his vision of Puritan settlement in American as a “city upon a hill,” an idea frequently invoked later on, including during the period characterized by manifest destiny. Unknown artist. Public domain. John Cotton, an influential Puritan minister. Engraving by H.W. Smith, 1856, based on an earlier painting. Public domain. “The First Thanksgiving.” Painting by Jean Leon Gerome Ferris (1863-1930), unknown date. Public domain. 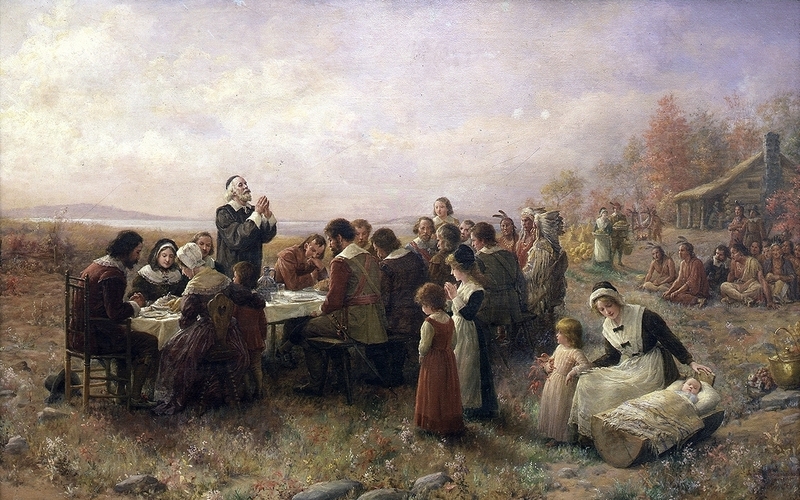 [picture] “The First Thanksgiving at Plymouth.” Painting by Jennie A. Brownscombe, 1914. Public domain.